Christian Lee Hutson has released a video for “Northersiders.” The song (and upcoming album) was produced by Phoebe Bridgers. Phoebe Bridgers has released a statement in regard to the Ryan Adams allegations that came to light last week. Better Oblivion Community Center will be playing Colbert on Wednesday night and CBS This Morning Saturday on January 26th. Some more information … well, not much information, but lots of speculation … about Better Oblivion Community Center (the rumored project of Phoebe Bridgers and Conor Oberst) has been coming out the past few days. Is a Phoebe Bridgers and Conor Oberst Project Coming? The internet is starting to uncover what looks like a collaboration between Phoebe Bridgers and Conor Oberst called Better Oblivion Community Center. Phoebe Bridgers cover of The Cure’s “Friday I’m In Love” is up on Spotify. Phoebe Bridgers has shared a cover of (Sandy) Alex G’s “Powerful Man” for Amazon Music. The Felice Brothers have shared a new version of “Patti” featuring Conor Oberst and Phoebe Bridgers for Amazon Music. Conor Oberst has shared a new version of “LAX” featuring Phoebe Bridgers and Simone Felice for Amazon. Boygenius, featuring Julien Baker, Lucy Dacus, and Phoebe Bridgers, new EP was released today on Apple Music and Spotify. Phoebe Bridgers performed “Motion Sickness” on Conan last night. Related to the below Fader profile on Phoebe Bridgers, if you’ve never seen the TV commercials mentioned in the piece, you can watch those here. Julien Baker, Phoebe Bridgers, and Lucy Dacus will release their debut EP as Boygenius on November 9th. Today they’ve debuted three songs on Spotify and Apple Music. The full press release can be found below. It looks like the group featuring Phoebe Bridgers, Julien Baker, and Lucy Dacus, will be called Boygenius. 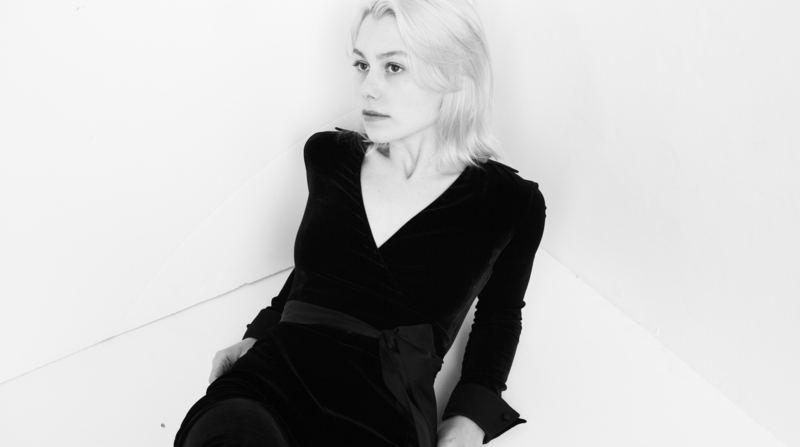 Kyle Huntington reviews the new, phenomenal, album from Phoebe Bridgers.